In September, 2002, after working at the Hamilton Baptist Church and befriending other special needs families, Jeff and Lisa prayed to God, “We feel that we are being called to minister to other families of those with special needs. How do we do that? Where do we start?” His answer seemed to be “What do they need?” So they listened, to family after family, and they kept hearing the same thing – the need for respite care. Caregivers were asking for a break. So, without an official organization, or even a name, the Mattheiss family began a child care parent co-op with four other families in April 2003. Shortly thereafter, an expanded version of that ministry began to take shape and on September 7th, 2003, the LifeLine Ministry of Hamilton Baptist Church was officially launched. 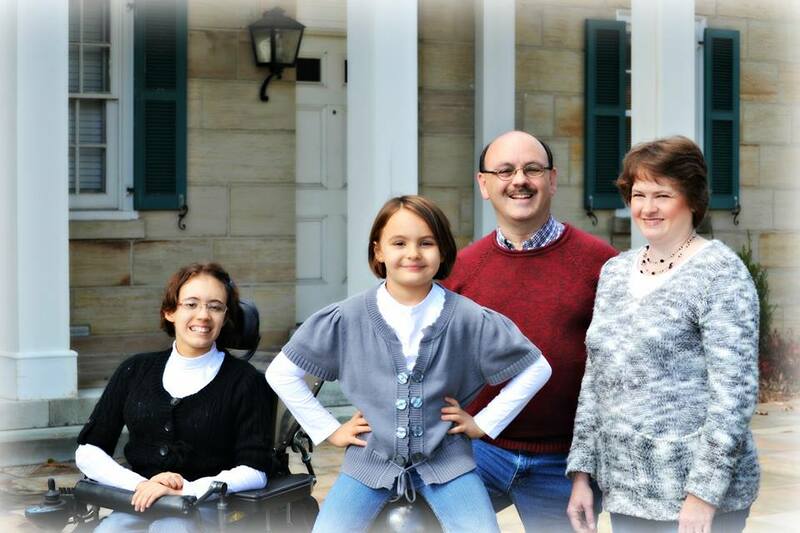 The Mattheiss family called the ministry LifeLine because they wanted it to be exactly that…a LifeLine. When someone is drowning, a life preserver is extended. The organization’s hope has always been to extend a similar lifeline to families struggling to be caregivers. The life preservers and lifelines in their logo come together to form a flower, a symbol of thriving life. LifeLine’s purpose is to help caregivers thrive, not just survive. It is also the organization’s hope to show forth Jesus, the only giver of eternal life. In January, 2007, LifeLine applied for and received their Tennessee Incorporation. They officially became LifeLine, Inc. on January 27, 2007. The ministry then received its non-profit 501(c)(3) status in January 2009. Taking a leap of faith, the organization moved from Hamilton Baptist Church in October 2009 and opened its own office and training space at 1609 McCallie Avenue, Chattanooga. At this new location, LifeLine, Inc. administered a Community Parent Resource Center Grant (CPRC) from October 2009 to September 2012, growing not only LifeLine, Inc.’s outreach into the community, but its capacity to serve families. During 2011, LifeLine, Inc. opened additional, temporary offices in Ft. Oglethorpe, GA and Summerville, GA in office space donated by Center for Hope, a Christian counseling agency in northwest Georgia (click here for more information about the Center for Hope). By 2013, both offices were closed, but LifeLine, Inc. continues to work with multiple families, churches, and school systems within the areas, holding trainings and events at local schools and churches. LifeLine, Inc. is blessed and grateful for those who invested in the development of LifeLine, Inc.’s outreach into these areas and the office spaces that gave the organization initial access to serve families and schools in northwest Georgia. Once the CPRC grant ended in 2012, LifeLine, Inc.’s main office moved to where the Chattanooga Autism Center (CAC) was opening their new office. Thus began what has become an invaluable relationship. Although LifeLine, Inc. has since moved their office to the Hixson First Baptist church, it is grateful to continue collaborating with CAC as they serve many of the same families. In April 2012, LifeLine, Inc. was honored by Chattanooga Autism Center for its contribution to the support and development of the CAC’s earliest programs. LifeLine, Inc. received their first annual Organizational Support of Autism Award. In 2012, LifeLine, Inc. was nominated for the Chattanooga Chamber of Commerce Non-Profit of the Year award. It was an honor for LifeLine, Inc. to become a finalist in the Non-Profit of the Year Award, competing against multiple organizations that had been in existence much longer. LifeLine, Inc. was honored for its contributions to the region in April 2014 as a recipient of the Pay it Forward Award. LifeLine, Inc. received the award once again in July 2017. Over the years, LifeLine, Inc. has changed its services. Respite care gave way to new programs like the ParentLink parent mentor program, Survival Kit Project, Chattanooga Area Resource & Education Center, Special Needs Ministry Training Programs, parent and professional trainings, support groups in Tennessee and Georgia, SNAP training for first responders, and an equipment exchange program. LifeLine, Inc. now answers over 3000 phone calls, emails, texts, and Facebook messages each year. LifeLine, Inc. also trains about 500 parents, educators, professionals, and church staff each year. The Board and staff of LifeLine, Inc. watch in amazement as God continues to transform a very small respite program into a large and active special needs ministry for the entire region.